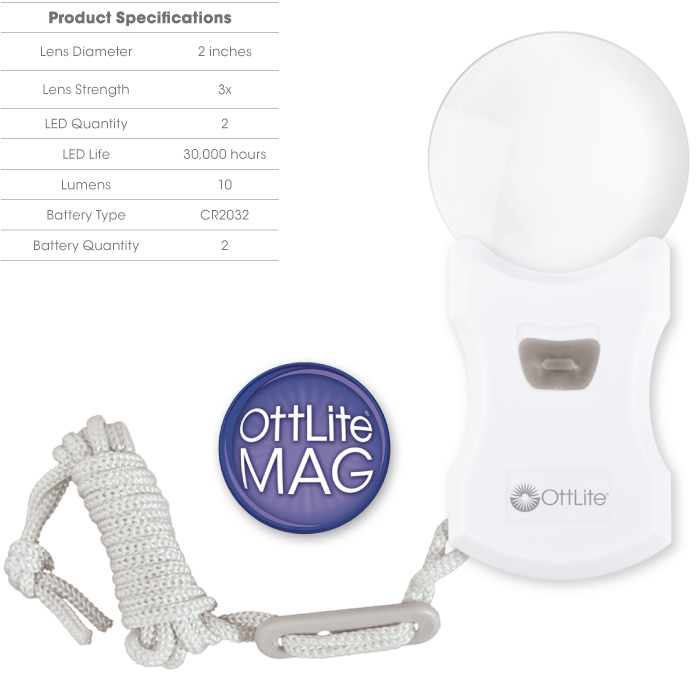 Now you can always have lighted OttLite magnification at the ready with this wearable Rimless Pendant LED Lighted Magnifier. 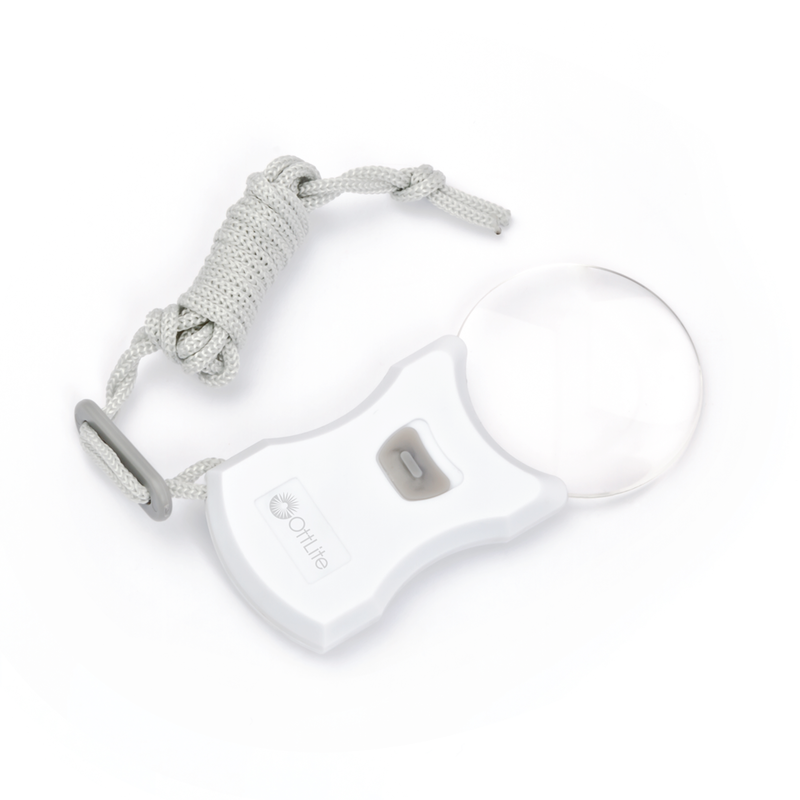 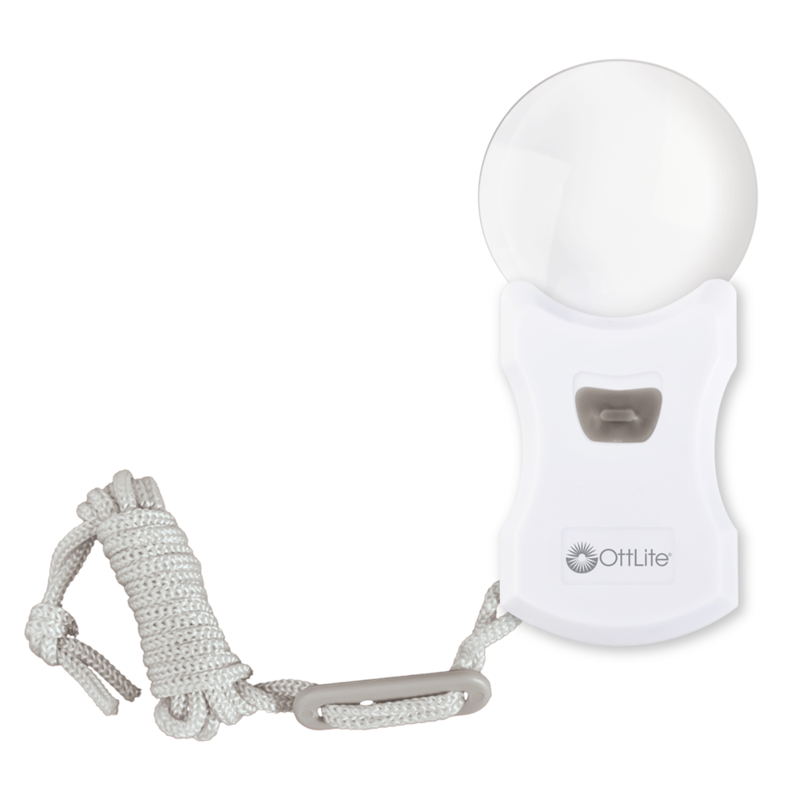 Lightweight and convenient, this 3x optical-grade lighted magnifier includes super bright OttLite LEDs so you can see fine details clearly any time you need to. 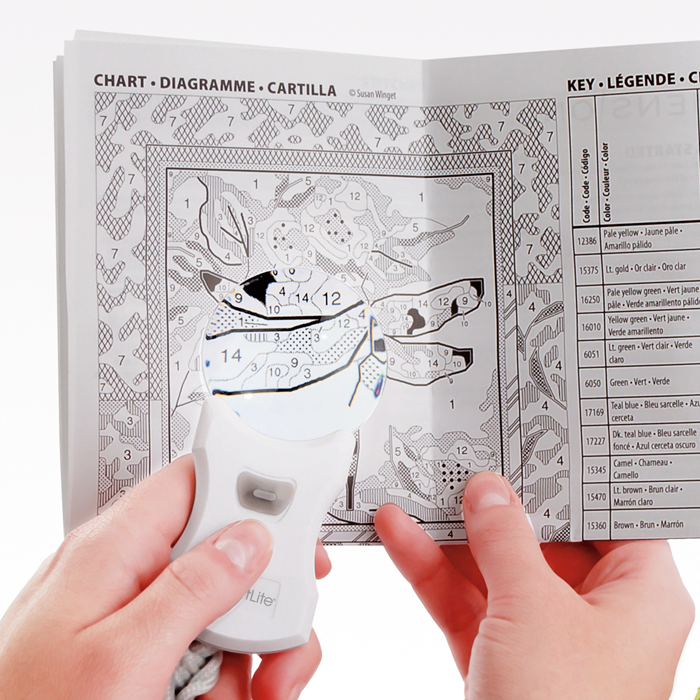 Great for reading fine print on instructions, crafting, doing crossword puzzles and so much more!